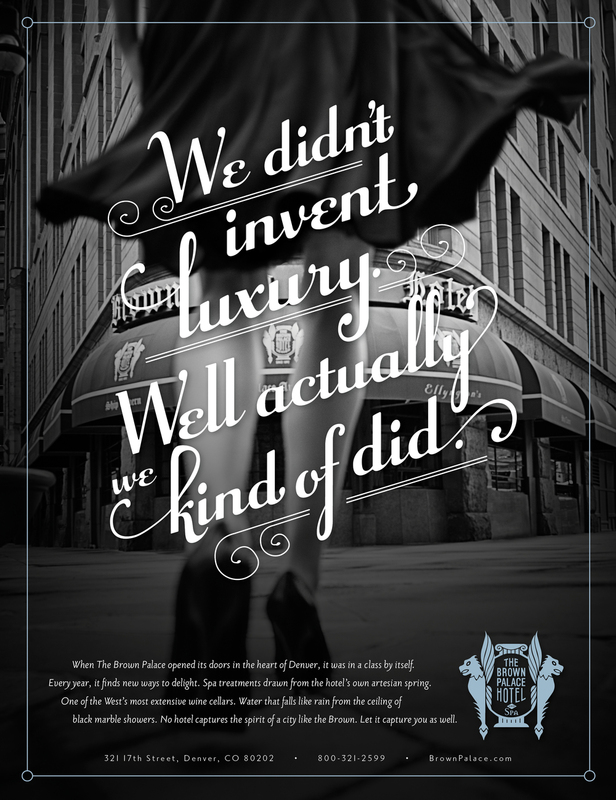 When we won The Brown Palace business, we knew it was time to show the hotel in a new light. Everyone knows the hotel is historical, but it's also romantic, elegant and breathtaking. We needed to tell that story. I had the unique opportunity to not only art direct a new brand and campaign for The Brown Palace Hotel, but I also was chosen to sing for the commercial. I worked with my talented copywriter and a local musician to write, sing and record our own song entitled, "I Am Home."